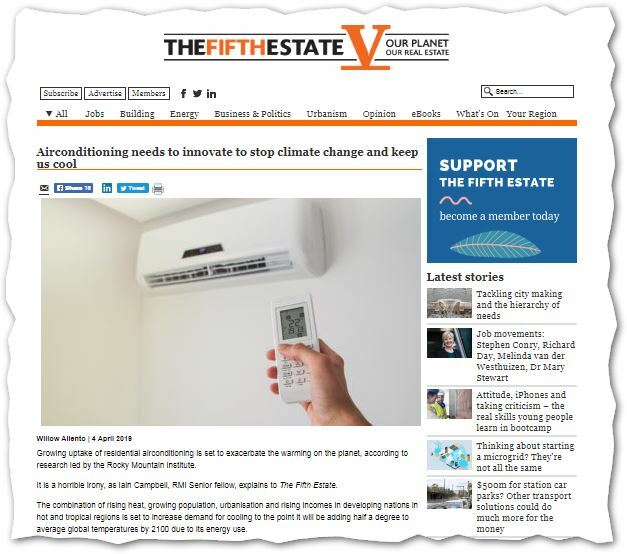 4 April 2019 The Fifth Estate’s Willow Aliento: Airconditioning needs to innovate to stop climate change and keep us cool | Sustainable Engineering Ltd.
Split incentive is the fancy term for what occurs when the folks making the decision on how well to build a building are not going to own it or pay for the heating/cooling. This unfortunately is pretty much always the case in commercial real estate. It is often seen even when folks are building or upgrading a home that they are living in themselves. The occupants figure they are going to move soon so they are concerned about over-investing in savings. If I tell them it will pay you money back in year 5 the first thing they say is … Will we be here in 5 years? Someone will be. Content by The Fifth Estate.